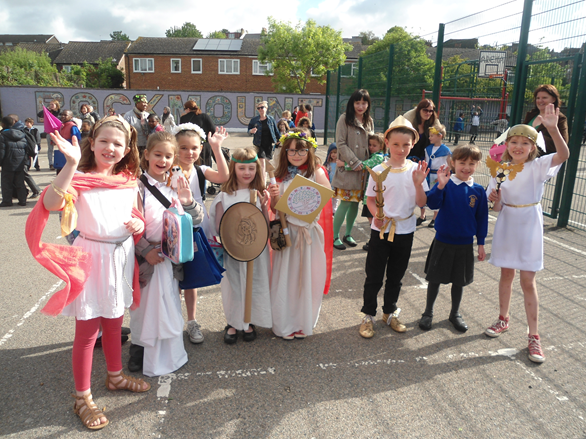 Year 3 Ancient Greece Dress up day! 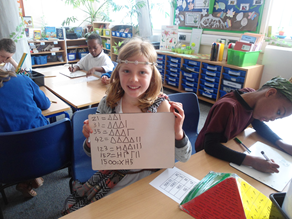 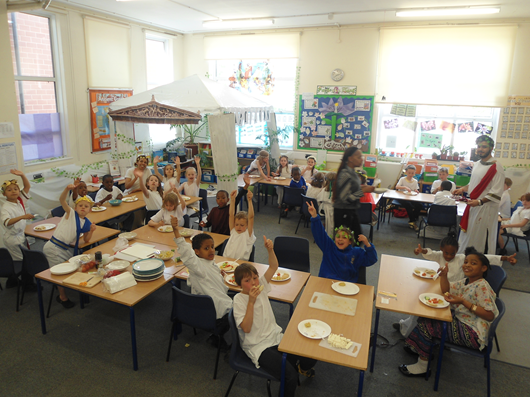 On Wednesday 20th May, Year 3 classrooms were transformed with children arriving at school dressed as Spartans, Athenians and Greek gods! 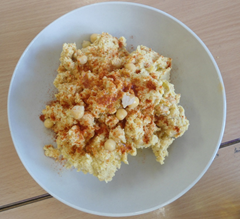 We made hummus and Greek salad in class which we enjoyed during an Ancient Greek themed feast complete with music and dancing!